We are looking for volunteers to work at targeted locations. 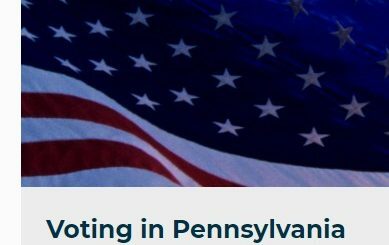 We are looking for Organizations that are willing to help Protect the Voting Rights of all Pennsylvania residents!! Who should help? All defenders of voting rights, including those who need ID or want to help people get ID. Anyone who wants to help people family and friends to get the free photo ID they will need in order to vote. Why should I help? Many of our hard fought Civil Rights gains are now under attack! We need to protect our seniors, our youth and our poor and disabled. Our Goals are real simple! We want to register a record number of people here in Pennsylvania and we need your help to do it!